Star Electronics;Repair Laptop, Desktop, Apple MAC and TV in Great Vancouver, Sale Computers and TVs. Authorized Service Centre etc. All Repair Services with 90Day Warranty, Lowest Labor Fee, Free Estimation and No Charge if not fixed. New and used consumer electronics, office electronics, computers and accessories. Brand New all makes and types of North America products. One Year Warranty, price-beat welcomed, best quality and lowest price in Greater Vancouver guaranteed! Used TVs, Monitors, Desktop and Laptop are Welcomed. We design and install Website with Domain Name, Business and family security camera system, wired/wireless network, home theater, sound system installation and maintenance. 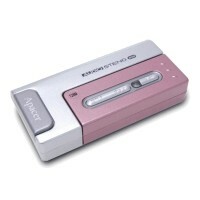 It's a 256MB USB2.0 Flash Drive that plugs into the mp3 unit - take it anywhere, transfer files without needing to bring along an extra cable! Site Map | About Us | Contact Us | Copyright © 2005 StarElectronics.ca all rights reserved.